Bee pollen is just what it sounds like -- pollen collected by bees. Like honey, bees use it as a source of nutrition. It's "very high in protein and carbohydrates, and it contains trace amounts of minerals and vitamins," according to NYU's Langone Medical Center. It's been used for thousands of years in Chinese traditional medicine, where it's believed among other things to enhance energy. However, according to a review of the evidence on the Science-Based Medicine website, there's no scientific support for the "superfood" claims for bee pollen -- and in fact, the dangers outweigh any possible nutritional benefits. 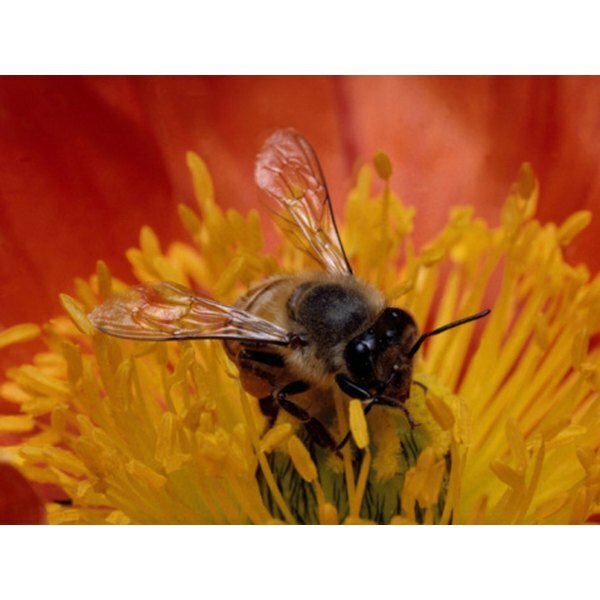 Bee Pollen has 400 Calories and 20.00 g of Protein per 100 gram serving according to the nutrition facts provided by the USDA Food Composition Database. Unless the information is coming from someone trying to sell you bee pollen -- and that's not always the most reliable source -- it's hard to find reliable nutritional information about the composition of bee pollen. One study, published in 2005 in the "Journal of Food Composition and Analysis," found that bee pollen samples contained about 20 percent proteins and 6 percent fats. The researchers found no vitamin C or beta-carotene, but found the "presence" of some carotenoids. When you consider the small amounts that a person would consume, there is not much nutrition in bee pollen at all. As the Science-Based Medicine website notes, "The claims made for bee pollen supplements are typically over-hyped and evidence-free.... What you never find on such websites are references to published peer-reviewed studies that substantiate the specific claims being made." Both NYU's Langone Medical Center and the Science-Based Medicine website raise important safety concerns with regard to using bee pollen. Both point to cases of severe and life-threatening allergic reactions to bee pollen, even after taking small doses. The Science-Based Medicine website also points to documented cases of liver damage and kidney failure in people who consumed bee pollen.